With hotels, one temperature definitely does not fit all. The guests that are happy in a room with the AC cranking in the middle of winter are different from the ones that want it as hot as a sauna in the summer. You’ll find that up to 50% of your operational budget goes to air conditioning and heat. An inefficient system is going to waste a lot of that money. This is a serious investment that could yield significant returns once it is operational. Won’t it be great not to have complaints about the AC or the heat? As with every other type of service business, your hotel is not going to be the only “game” in town. That’s why you have to find ways to differentiate yourself from your competition. It might be offering a better price or free HBO or a late check out. You’ll have to stay on top of what your competitors are doing and make adjustments accordingly. 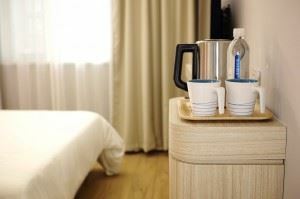 You’re not going to be able to have personal interaction with every guest that checks into your hotel. That is why you need to depend upon a staff that is centered on creating a positive customer experience. Although a guest’s request can sometimes be unreasonable, your hotel staff should never respond in kind. When they go out of their way to make a guest happy, then you should acknowledge their efforts. Listen to their concerns and respond to them. Always make them feel like they’re part of the team. Every room in your hotel is valuable. It is a source of revenue. It would be a waste to use one of your rooms as a storage locker for old mattresses or furniture. Instead of hanging onto that kind of rubbish, why not give it all to Junk King Detroit today? Junk King Detroit of the professional junk haulers who can easily load up all the things you want to get rid of in a single session. The team they’ll assign to your task will do all the work for you. That is going to be a huge stress relief. One call to Junk King Detroit make sure your hotel stays clear of rubbish and junk. This entry was posted in Detroit Junk Removal and tagged clutter, hotel, junk king, junk King Detroit, junk removal on July 24, 2017 by Junk King. Last updated July 24, 2017 .